Summerville Medical Center announced Nichole Nichols as director of the Emergency Department. Nichole has been in the position of interim director of the Emergency Department for the past year, bringing more than twenty years of nursing experience to the Summerville Medical Center leadership team. 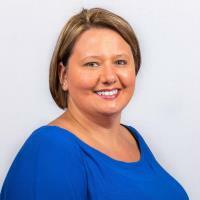 Nichole began her career in 1999 as a nurse at Colleton Medical Center and over the course of the past twenty years, has risen through the ranks with Trident Health and HCA Healthcare. In her Interim Director role, Nichole led numerous successful quality and safety initiatives for the Emergency Department including receiving the Pediatric Readiness certification from SC DHEC’s Emergency Medical Services for Children department. Summerville Medical Center is the only hospital in the Lowcountry, and one of two hospitals in the state, to be awarded this distinguished certification. With Nichole’s leadership, the Emergency Department attained the top 25th percentile in Patient Experience across all hospitals in the United States in Q3. In addition, Nichole and the Emergency Department team have spearheaded numerous events and fundraising efforts in the community, from being the top fundraisers for the Teal Diva Run in support of cervical cancer to winning the Division F category at the 2018 Charleston Dragon Boat Festival. Summerville Medical Center is a 124-bed, acute-care hospital with a 24-hour emergency room, a dedicated ER for children, and comprehensive medical services. The facility enjoys an enviable reputation for its women’s and children’s services including "home-like" birthing suites. Surgical services include orthopedic, reflux, robotic and weight loss surgeries. Summerville Medical Center is part of Trident Health, which has earned recognition as a leader in the delivery of healthcare in the Lowcountry.